Why Go With Propane Water Heaters? Of all the choices a homeowner faces, the selection of a water heater proves to be one the largest. Your water heater is responsible for much of your home’s monthly energy costs. Therefore it is essential you choose a cost-effective, yet an efficient model. With the choice of an electric or propane water heater, there are many positives when going with propane. Our Dallas TX propane professionals at Northwest Propane can help you with this crucial choice, proving why propane is the increasingly popular option. When choosing between propane water heaters and their electric counterparts, there are many things to keep in mind. In today’s economy, one must factor in cost when considering purchasing any new appliance for the home. It is important to consider not only the installation cost but the cost of continuous usage as well. Propane water heaters make for lower monthly utility bills. This is because they provide a constant supply of warm water, whereas electric water heaters take longer to heat the water. This uses more energy. Propane provides a constant supply of warm water, meaning you never have to wait for the water to warm up. 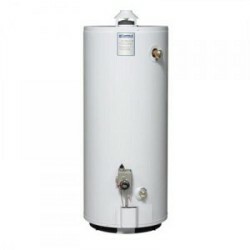 Propane water heaters come in two options: traditional or tankless. They continue to prove themselves extremely energy-efficient and can take up little space. This is perfect for cramped homes. With so much to think about, choosing the right water heater should not be taken lightly. With Northwest Propane, the choice just got easier. With any comments, questions, or to schedule a propane water heater installation today, give us a call or visit us online.